326 pages | 15 B/W Illus. Bioregionalism asks us to reimagine ourselves and the places where we live in ecological terms and to harmonize human activities with the natural systems that sustain life. As one of the originators of the concept of bioregionalism, Peter Berg (1937-2011) is a founding figure of contemporary environmental thought. 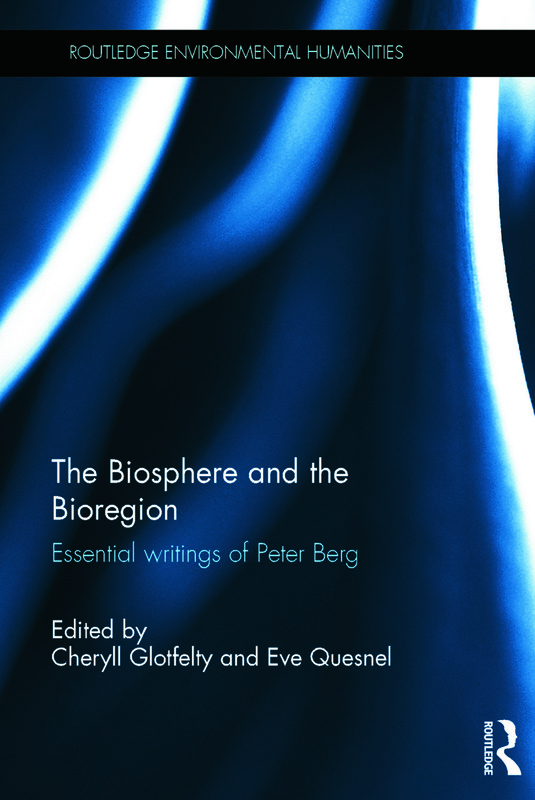 The Biosphere and the Bioregion: Essential Writings of Peter Berg introduces readers to the biospheric vision and post-environmental genius of Berg. From books and essays to published interviews, this selection of writings represents Berg's bioregional vision and its global, local, urban, and rural applications. The Biosphere and the Bioregion provides a highly accessible introduction to bioregional philosophy, making Berg's paradigm available as a guiding vision and practical "greenprint" for the twenty-first century. This valuable compilation lays the groundwork for future research by offering the first-ever comprehensive bibliography of Berg's publications and should be of interest to students and scholars in the interdisciplinary fields of environmental humanities, environment and sustainability studies, as well as political ecology, environmental sociology and anthropology. "Peter Berg set in motion an entirely new realm of environmental thinking and social action by establishing the bioregionas the best location and scale for sustaining human and non-human life. His pioneering work needs to be broadcast widely, and this book accomplishes that task." "With global initiatives providing only tepid solutions to the problems of environmental destruction and economic insecurity, Berg's empowering vision of how people can live fulfilling lives in the context of local, sustainable communities is more relevant than ever." "Berg’s Pacific-rim vision of reinhabitation is articulated with poetry, verve, and wit. An explorer and advocate of complexity, he speaks alike to ‘densely-creatured food chains’ and to the cultural ecologies of expanding cities. In this guide to one of the best ideas of the past forty years, one also finds a manual for the decades ahead." "The Biosphere and the Bioregion is a captivating, stimulating collection of essays drawn from the work of Peter Berg, internationally known bioregional thinker and activist and founder of Planet Drum Foundation. This brilliant selection, interlaced with original tributes from prominent writers and thinkers, brings to the student or general reader many of the most urgent and pressing issues of our time." "Peter Berg was a true visionary—a foundational thinker in the fields of bioregionalism and sustainability. Cheryll Glotfelty and Eve Quesnel have produced a careful and engaging introduction to Berg’s important work. This book shows how Berg offers a vivid counterpoint to sanguine representations of the global tilt of contemporary society." "Peter Berg reads the land through the soles of his feet, reads watersheds with his heart--yet guides us to re-inhabiting with sensitive practicality. We are now fortunate to have his work gathered in this impressive guidebook." "Peter Berg took a stand as an activist, and these essays reflect his unique position in life as one of the first bioregional poets and practitioners for a new millennium. To take a stand for resilience requires that we know when to draw the line in terms of our unsustainable behaviour, join with others to adapt and sustain the cultural values inherent to home place, and forge a new economy that can restore the self-generating capacity of a living community and bioregion." "Want to make the world a better place? These lively short essays will get you thinking, talking, imagining, and acting to that end." Cheryll Glotfelty is Professor of Literature and Environment at the University of Nevada, Reno, USA. She is co-founder and past president of the Association for the Study of Literature and Environment (ASLE). Eve Quesnel is a lecturer at Sierra College in California and writes for an independent newspaper in the Lake Tahoe region of California, USA.